Do aluminium PCB heatbeds suffer from hotspots as much as standard PCB heatbeds, or is the presence of hot spots smoothed over by the fact that the PCB "substrate" is aluminium, and so its thermal conductivity helps spread the heat more evenly? Or, conversely, could the effect of the hotspots be magnified, and actually made worse? I would have also asked whether aluminium PCB heatbeds are worth the additional cost, over standard PCB heatbeds, but for the slightly less common dimensions of 200 mm x 300 mm, the costs, of an aluminium PCB heat bed, are roughly the same as standard PCB. Some thermal imaging pictures, comparing standard PCBs with aluminium PCBs, would be appreciated. I am keen to buy an aluminium PCB heatbed for my P3Steel v.4 printer, which has a larger build area of 200 mm x 300 mm. So, after some searching, I found this MK2A: MK2A 300x200mm Aluminum Heated Bed Hot Bed for RepRap 3D Printer 12V + Wiring + NTC 3950 Thermistor - Upgrade you Prusa i3 for LARGE Printsize, or this cheaper MK3, Anycubic Dual Power MK3 Heatbed 300*200*3mm Aluminum Heat Bed 12V/24V Perfect for Prusa i3 3D Printer. Note: this is not a shopping question, I am merely providing a background to my questions. 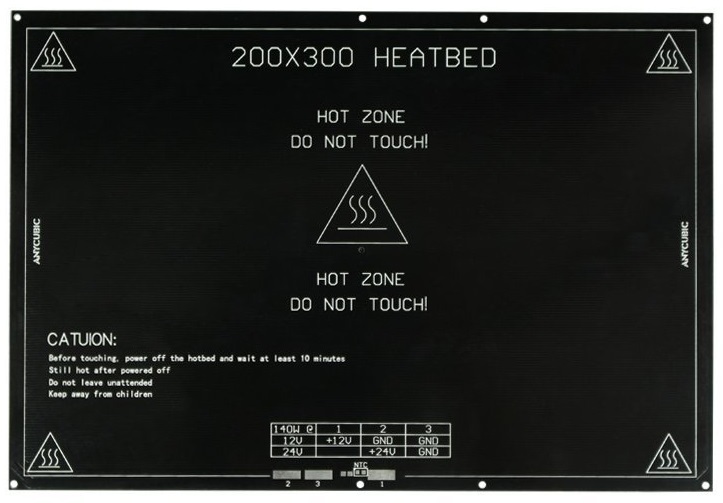 As stated in the former link, on the section on Metal print beds, PCB based heatbeds can suffer from hotspots, and that is why, apparently, it is sometimes preferrable to use a subsequent aluminium build/print bed on top of that, en lieu of glass plate, in order to even out the hotspots, as the aluminium's greater thermal conductivity helps smooth out the hotspots, by distributing the heat more efficiently than a glass plate can. However, it doesn't describe the heating effect of just a single aluminium PCB heatbed. The section, in the latter link, on Aluminium heatbeds, where the heating circuit is printed directly onto the aluminium, rather than a standard PCB (on a non-conductive substrate), makes mention that the print can be made directly on to the aluminium, without the need of an additional glass plate, resulting in a lighter print plate, and hence faster print speed. However, yet again, it is not particularly clear, or explicit, when it comes to heat distribution. 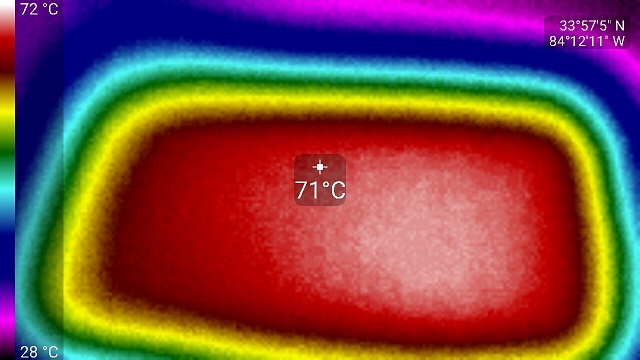 A thermal image of my aluminum heated bed does not show hotspots, although the edges are cooler than the majority of the center. Can a heatbed PCB (Prusa Mk2) be straightened out? Steel versus MDF/Aluminium Y axis plate? How much insulation do I really need? Why does the Ultimaker 3D Printer has a Heater + Heater transfer plate (aluminium) + Glass? Can I have a glass bed with only the center heated?